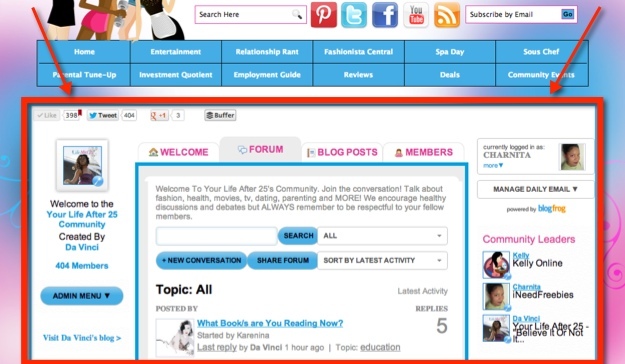 Have you been wanting to add a forum to your blog? Have you put off adding one because you think the process is too complex? If so, think again; it’s actually a lot easier than you may think thanks to a few WordPress plugins. 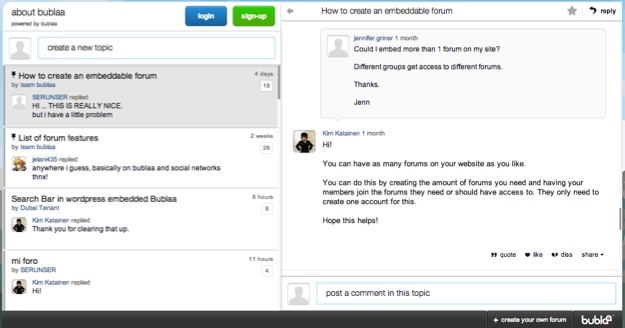 Forums are great for increasing user engagement and keeping visitors on your blog longer. It’s one of the best way to bring your visitors together, allowing them to converse, network, give feedback, ask questions and more. When it comes to adding a forum to your WordPress blog, most of us are familiar with the top choices: bbPress, Vanilla Forums, and Simple:Press. These three are great options, but they’re not the best if simplicity is what you’re seeking. Instead, I want to share a few forum plugins that you may not be familiar with and are also easy-to-use. These plugins will have a forum up and running on your blog in just a few minutes. Mingle Forum’s mission is to keep it simple and it has definitely succeeded. If you’re looking for a forum that will easily integrate with your blog, is quick to set up and lightweight, look no further. 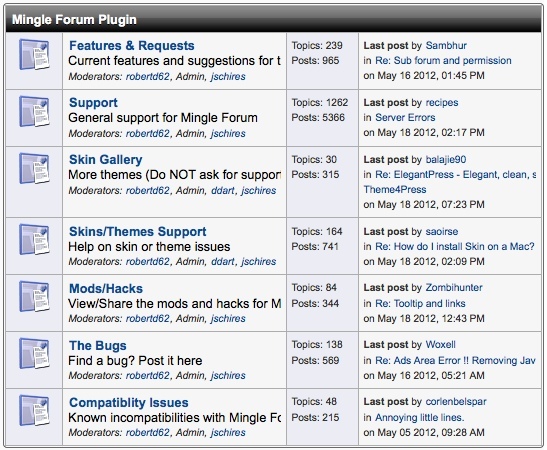 Even with all of its features, Mingle Forum doesn’t add any unnecessary bloat to your blog. Tal.ki can be used as a forum, message board or discussion board. It will automatically add a “Forums” page and embed a forum into your blog so that users can start their own conversations. Tal.ki supports logging in via Facebook, Twitter, Google and many other services; so users won’t have to create yet another login just to use your blog’s forum. Bublaa is a simple, yet stylish forum for your blog. It has a unique look and is set up like a micro-blogging platform. There are two columns: topic excerpts are on the left and the full conversation view along with comments opens on the right. Bublaa is a snap to set up, lightweight, easy to navigate and fun to use. TheBlogFrog does not offer a plugin, but it is an embeddable forum that includes many of the features from the above-mentioned plugins. You don’t just get a forum, you get a mini community complete with: a welcome area, blog posts showcase, member profiles, social sharing, real-time commenting (must be enabled on a post-by-post basis) and featured conversations. A red outline was added to highlight the embedded area. You’ll create your community on TheBlogFrog’s website and then get an HTML code, which will allow you to embed that community into a page on your blog. The end result is a community/forum that looks as though it’s part of your blog (as pictured above, courtesy of Your Life After 25). The forum also has a rich-text editor that supports text formatting, image and YouTube video insertion, emoticons, bulleted lists, links and HTML insertion. Even though I really love the look of Bublaa, I’m currently using an embeddable forum from TheBlogFrog. I love the community feel and features it adds to my blog. It also doesn’t hurt that there is a monetary incentive by using TheBlogFrog – via integrated CPM ads. However, I’m wondering what others are using or have intentions of using. Do you have a forum on your WordPress blog? If so, what plugin or tool are you using and why? If not, which one do you plan on using? Thanks for making this post, it shouldn’t be so hard to find a discussion board & commenting system that more people can get familiar with and use more often and on more websites. Just learned of Bublaa, which I saw as being described as a mashup of forums and commenting system. Maybe we might also see Disqus and Intense Debate moving or morphing into being more discussion board oriented? 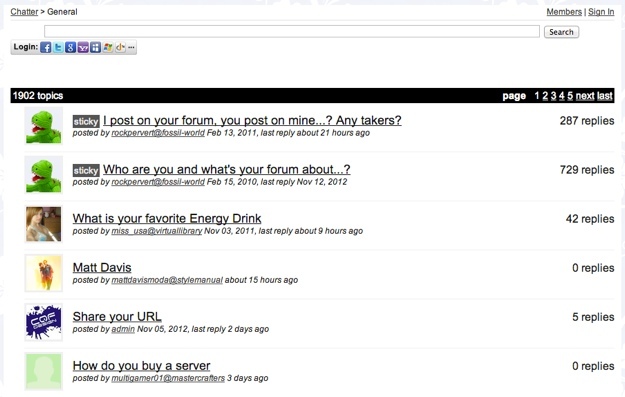 I had a mingle forum on my website and it was constantly hit by spammers. It has been about a year since I disabled it. I really need to create a forum with an extremely simple interface and a streamlined appearance that won’t need to be shut down due to spam. Any recommendations? I would try The Blog Frog, I am planning on using it, but right now it is unavailable XD “Temporarily” If not, did you try Bublaa? your tips wordpress is great. A quick forum where users can drop in and leave a comment without having to signup, confirm signup, login etc. just simply insert email and name and then comment.